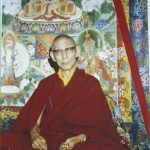 Trijang Rinpoche (1901-81), the late junior tutor of His Holiness the Dalai Lama, was also the root guru of Lama Yeshe, Lama Zopa Rinpoche, Geshe Rabten, Geshe Dhargyey and many other great twentieth-century teachers of the Gelug tradition. 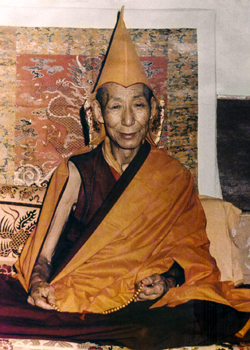 Trijang Rinpoche was the main disciple of Pabongka Rinpoche and editor of Liberation in the Palm of Your Hand. This is an excerpted teaching on an overview of tantric practice given to Western Dharma students in Dharamsala, India.